Radiate’s mission is to distill the management expertise of industry gurus, business pioneers, and thought leaders into practical knowledge for people to apply for their own professional growth. 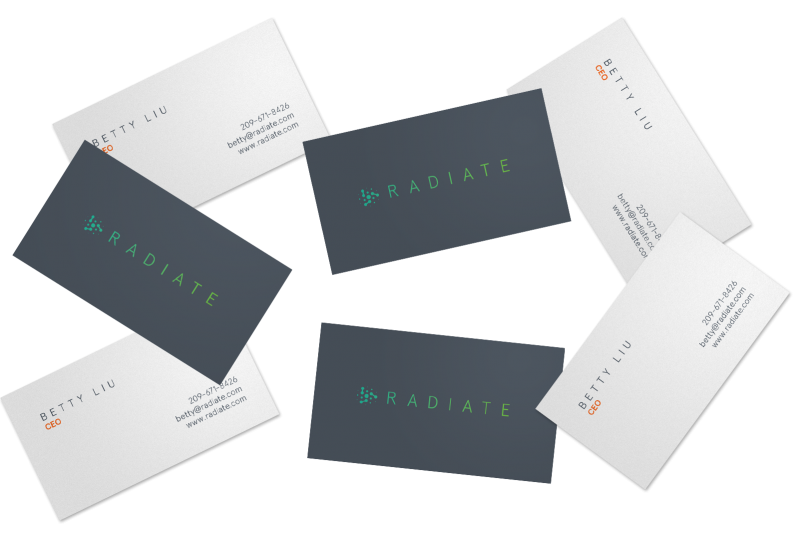 As a new company, Radiate needed a bold, engaging logo to fully encompass their mission and brand. On the cusp of launching a new product initiative, Radiate needed to update their visual branding and solidify their messaging in order to move their company to the next level. Having used bits and pieces of content, copy, and images for the first stage of the company, Radiate needed to look at their brand with an intentional gaze and determine what story did they want to tell and how to tell it. Integral to our branding process is distilling a brand down to its core ideals and beliefs. To get to these, we ran a serious of hands-on workshops and vision sessions with key leadership. We then synthesized the finds to find a succinct and intentional brand guide of voice, tone, and messaging. This then acted as the basis for our visual exploration, logo iterations, and final comprehensive style guide, which will act as a road map for the brand.